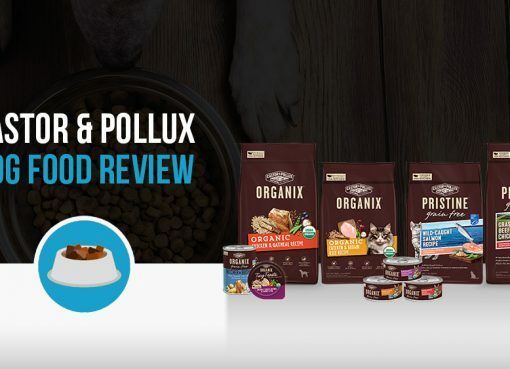 Home > Dog Food > Freshpet Review – is this fresh dog food worth the price? Freshpet offers fresh, high quality dog food but it’s likely not a good match for medium or large dogs. Having to drive around to different stores to find the right food you need can be a hassle, as well as buying enough to feed larger dogs. The worst is when the refrigerated section that carries Fresh Pet is out of stock. I strongly recommend the online fresh dog food deliveries over this. Our thoughts at a glance. Freshpet has been on the leading edge of the fresh dog food market which has now taken off into a very popular trend, offering fresh meals for pets since 2006. You’ve undoubtedly seen Freshpet in your local pet store or grocery store as they have over 19,000 fridges across North America selling their refrigerated dog food. Traditionally Freshpet has been sold as “rolls” that you keep refrigerated and cut up to give to your dog in portions specific to their size, though Freshpet does offer bagged refrigerated dog food and treats today as well. Freshpet is not “raw” dog food, it has already been cooked and pasteurized to kill harmful bacteria before leaving their kitchen. All of the meats used in Freshpet are sourced from North America and all of their food is made in Pennsylvania before it’s shipped out across the US. Before we jump into a closer look at the Freshpet food itself I think it’s also worth mentioning their socially responsible environment policies. Freshpet uses 100% wind power for their kitchens, sources ingredients locally so less transportation is required, and they have planted over 25,000 trees to offset their carbon footprint as they work towards having zero carbon footprint in the future. 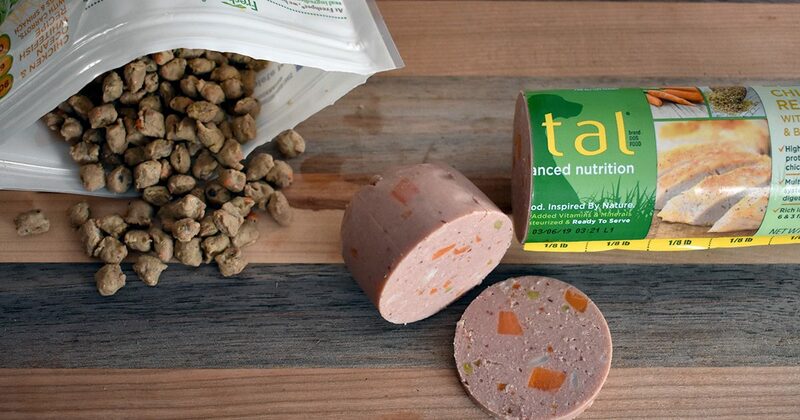 Freshpet is most often sold in rolls of meat, which honestly isn’t the most appetizing looking products as seen below. Then again, not many dog foods are appetizing to humans. When you’re feeding your dog a roll, you’ll find markings along the packaging showing you 1/8th lb increments so you can cut off the right amount for your dog at each feeding time. The roll pictured above is a 1lb roll of food. For a dog 40-60 lbs, Freshpet recommends at least 1lb of food a day which means the dog would eat 1 full roll a day. This is a bit concerning to me because with dry dog food you buy one bag and it will last you 4+ weeks. If I wanted to feed a large dog Freshpet, I would be going through 2+ rolls a day and it seems that I would run into issues with the Freshpet fridges not stocking enough for my needs. Comparing Freshpet to traditional dry dog foods you’ll see right away that Freshpet has no preservatives, meat meals, and a host of other questionable ingredients you can find in most dry foods. Freshpet has freshness you can see when you handle the dog food, as chunks of vegetables are readily apparent throughout. I will say that the meat itself doesn’t look the most appealing to a human, it resembles a large bologna roll though the ingredients are probably much better than whatever’s in bologna! With that said, fresh dog food from companies such as NomNomNow look a lot more pleasant to the eye. Given that this food is always fresh, it’s safe to say it’s a very high quality dog food. This is a very limited ingredient dog food overall and contains all of the necessary vitamins and minerals for a healthy dog. You might be wondering what “carrageenan” is, which is an natural extract from red seaweed used to form the texture of the food. Here’s a look at the overall nutrients of this Freshpet recipe. Note that this is the dry analysis of the food which accounts for the moisture level of this fresh food so we can evenly compare it with dry dog foods. Overall, Freshpet is a very high protein dog food which is great for the majority of dogs. If your dog has kidney issues or other specific health concerns, check with your vet first to see if Freshpet is a good option for your dog. Freshpet has a variety of product lines today to fit both your dog’s dietary needs and preferences as well as your own needs such as time constraints. With so many product lines, it can be hard to know what option to choose. I would suggest you check out Freshpet’s product selector tool which will ask you some questions about your dog and give you customized recommendations as to what food will be best for them. 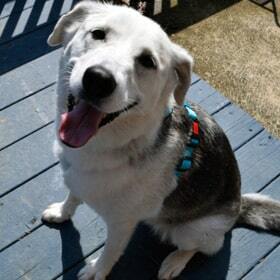 Sasha’s first time trying Freshpet wasn’t a resounding stamp of approval, but she did eat the food. It just took her a bit to sniff it out before digging in. Sasha isn’t a picky eater at all, but I’d suspect most dogs will get used to Freshpet shortly after being introduced to it and you won’t have issues with feeding. There are some downsides of Freshpet worth mentioning. For starters it is definitely more expensive than dry dog foods, but that’s the cost of fresher ingredients. Another thing to consider especially with the rolls of dog food is you’re going to be storing this in your fridge with all of your other food all the time. Some people might not like the idea of having opened packages of dog food in the same fridge as their own food. If you have a really picky eater or a dog that likes to nibble throughout the day rather than eat all at once, Freshpet might not be best for you. Freshpet recommends that food sit out no longer than 2-3 hours before you need to return it to the fridge so it doesn’t spoil. For me, an owner of both medium and large dogs, I would be concerned with running out of Freshpet food or having to run all over to different stores in order to find what I need. If you have a small dog this wouldn’t be a concern, but I often only see a handful of rolls in the Freshpet fridges at any given time. 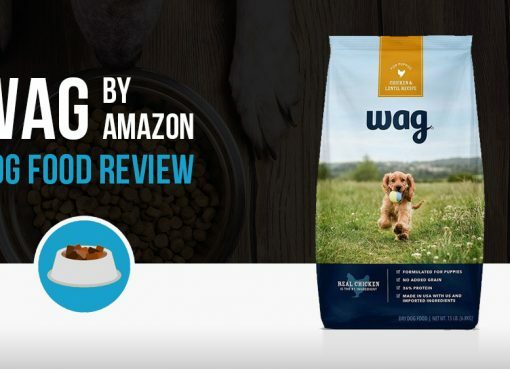 Since Freshpet doesn’t ship directly to your house like many fresh dog food delivery services, running out of the right dog food becomes a real concern. Freshpet can be found in most pet stores and major grocery stores. You can also use Freshpet’s store locator to track down a spot near you. Petfresh chicken/turkey is a great product. The chubs freeze well. I heat about a half cup for 30 seconds mix with 1& 1/2 cups high quality Blue Buffalo dry food twice a day. My 8 year old Labradoodle loves it. He’s healthy and our Vet says to keep on doing whatever it is as Ollie’s in great shape. Yes it’s pricey, but I’ll have my friend for many more years , I save money on vet bills, no skin problems, bad breathe etc. My 7 year old Maltese loves fresh pet. She would let her food sit for hours before eating, now she eats her food right away. Other foods left her with a stinky breath, but not fresh pet.